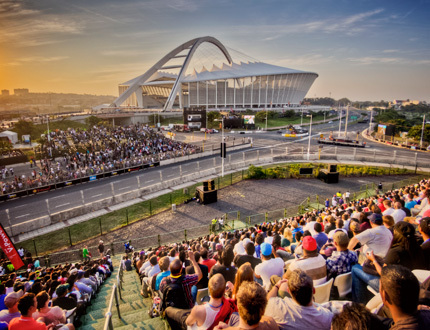 67 000 petrol heads descended on the Moses Mabhida Stadium last month for two days of fuel-injected exhilaration. 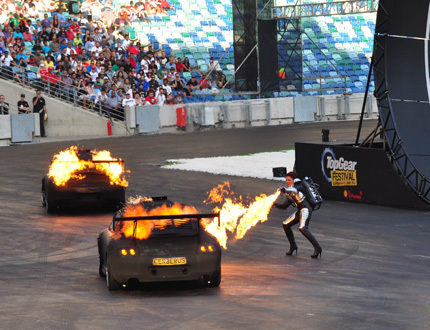 The Top Gear Festival powered by Shell V-power supplied non-stop thrills with the roar of engines, speed and madcap tricks. 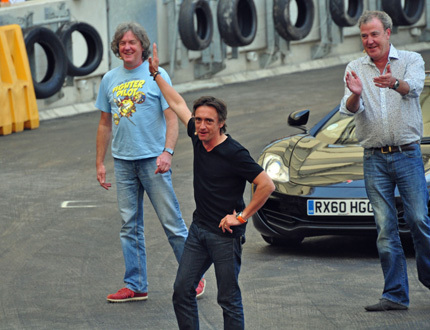 The tongue-in-cheek Jeremy Clarkson, Richard Hammond and James May hosted many exciting and daring stunts. They attempted and succeeded (and even surprised themselves) in breaking the world record for the first ever double loop the loop. A specially converted buggy fitted with hand controls to lock out the accelerator pedal and meticulous calculations allowed this “deadly 720” stunt to achieve it’s victory. They set Porsche 911s alight, they knocked down giant skittles with a shopping trolley and recreated Roman Chariots pulled by scooters. 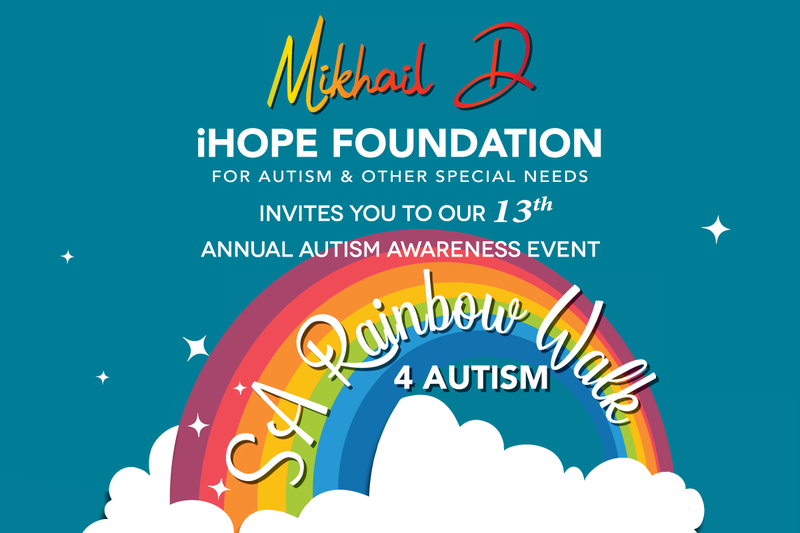 The fever accelerated beyond the walls of the stadium where car enthusiasts were treated to an exhibition of rare and valuable cars, along with much car related paraphernalia including the latest gadgets, accessories and motoring technology. 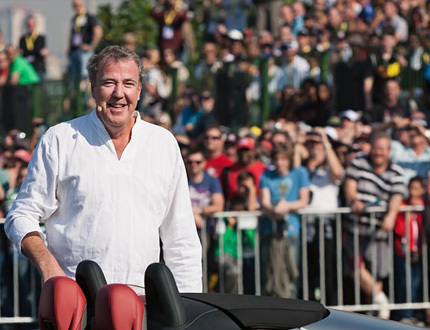 Top Gear also included their first ever street circuit which stretched 2km around the Durban streets and the Stig completed powerlaps around in it in a Lamborghini Aventadour and McLaren MP4-12C. 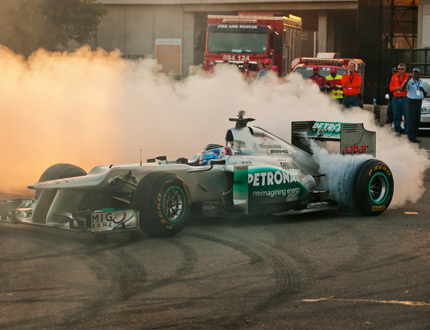 Combustion, smashes and crashes and full throttle engines revved up Moses Mabhida Stadium this year and they will be doing so for the following two to come. 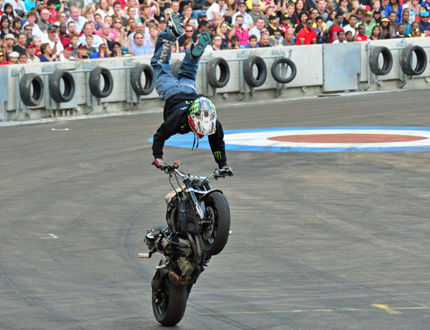 Be sure not to miss out on the velocity next year!